This is the reposting of an original article written by Centra Group. You can read the original article here. Monsenso is proud to announce a new working partnership with UK’s telecare provider, Centra. The joint work will explore new, digital approaches to mental health service provision at Amy’s Place’ – Centra’s and Amy Winehouse Foundation’s (AWF) flagship addiction recovery service in East London. The Monsenso mHealth app offers a comprehensive solution for managing a range of affective disorders, including depression, bipolar disorder, schizophrenia and borderline personality disorder. By utilising everyday smartphone technology, Monsenso supports individuals to self-manage their conditions whilst providing valuable insights to their mental health or social care support worker. The Monsenso solution combines self-reported data and environmental sensor data to provide a balanced view of an individual’s behaviour and mood over time. The data can be accessed by nominated support staff to help inform diagnosis and treatment pathways. 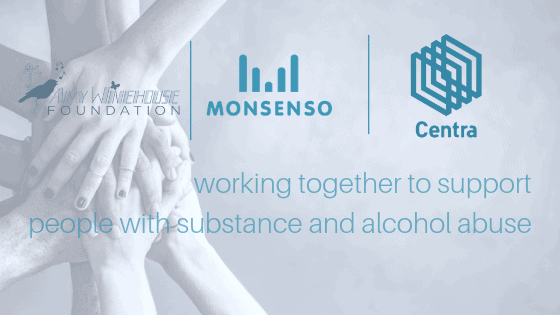 Over the past ten months Centra’s Research and Innovation (R&I) team has worked closely with Monsenso as well as staff and residents at Amy’s Place to evaluate and configure the solution. A pilot program will be established for six months, with testing conducted by a group of young women currently living at Amy’s Place and their support workers. Throughout the pilot, the service will be evaluated and supported by Centra’s R&I team to ensure that it meets expectations and maximises its benefits..